The ultrabook's 14-inch screen has a 1600 x 900 pixel resolution, the device measures 339mm x 233mm x 18.5-21mm and weighs 1.59kg (with battery and SSD) or 1.69kg (with battery, SSD and HDD). 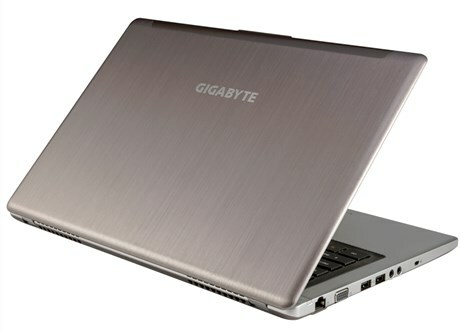 GIGABYTE announced the U2442 Extreme Ultrabook GeForce GT 650M and GT 730M graphics options. The U2442 is exceptionally designed with an elegant shuttle streamline design in a sleek form factor between 18.5 - 21mm and weighs in at just 1.59kg/1.69kg. Designed to bring you ultra-performance, it is powered by 3rd generation Intel Core processors and NVIDIA GeForce GT 730M / GT 650M discrete graphics. 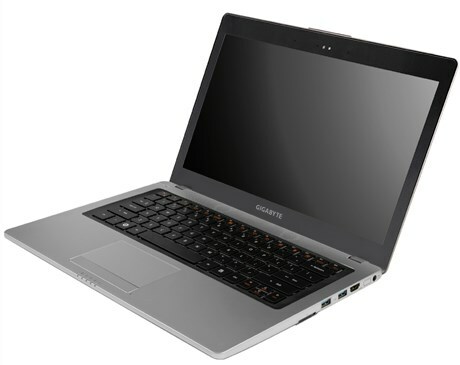 The U2442 Ultrabook is able to pack a 256GB mSATA SSD and a large 750GB/1TB HDD into its super slim body. The dual-storage system provides the user with speed and massive storage options. Do away with external storage with the Extreme Ultrabook. The NVIDIA GeForce GT 650M / GT 730M discrete graphics reaches 3DMark Vantage at 9,587 / 8610 points. The U2442 has a dual air vent design (one for CPU and one for GPU) that efficiently eliminates heat and keeps noise to a minimum. Despite the powerful features and thin form factor, the unique venting system is able to effectively keep the notebook from overheating. It also boasts an automatic light sensing backlit keyboard. This excellent feature adjusts the light to external conditions and this allows for work to get done even under low light conditions. The U2442 also provides an awesome audio and multimedia experience with a fantastic HD+ display and THX TruStudio Pro audio technology. THX TruStudio Pro groundbreaking audio technology comes equipped on the U2442 and is designed to provide outstanding performance by effectively eliminating sound distortion, enhancing volume and reinforcing even the smallest details of the sound. Enjoy high definition entertainment with HDMI 1.4 on external displays! GIGABYTE's brilliant design team has developed the Smart Switch Technology in Windows 8 to help you access general start-up functions from your desktop screen itself making it easy and convenient for you.